Silver ring, open and moldable. 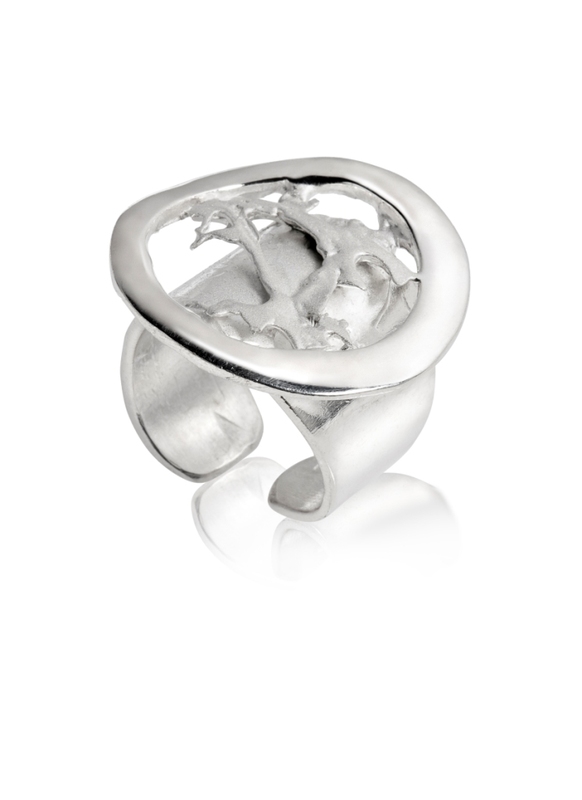 It belongs to the collection "Land and sea", design inspired by the relief of the land. Sold with case.